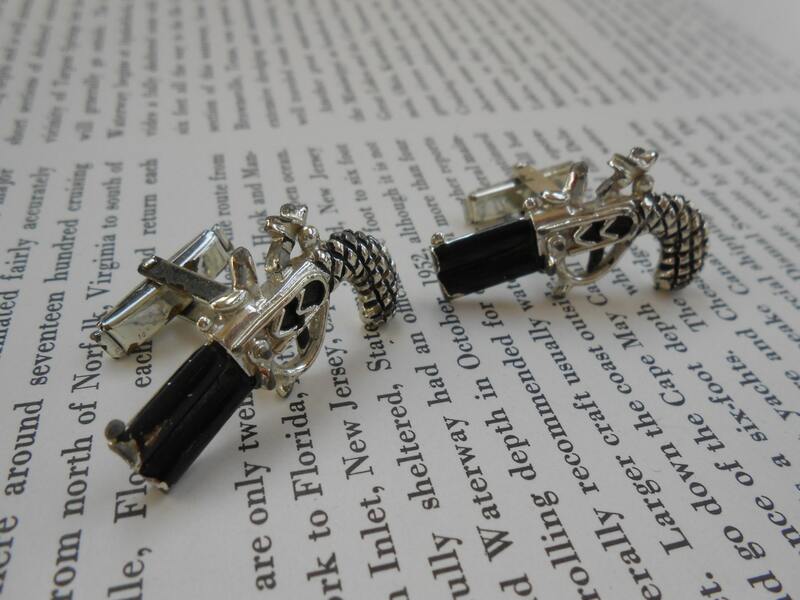 Vintage Double Barrel, Flintlock Gun Cufflinks. Groomsmen, Anniversary, Wedding, Men's, Groomsmen Gift, Dad. 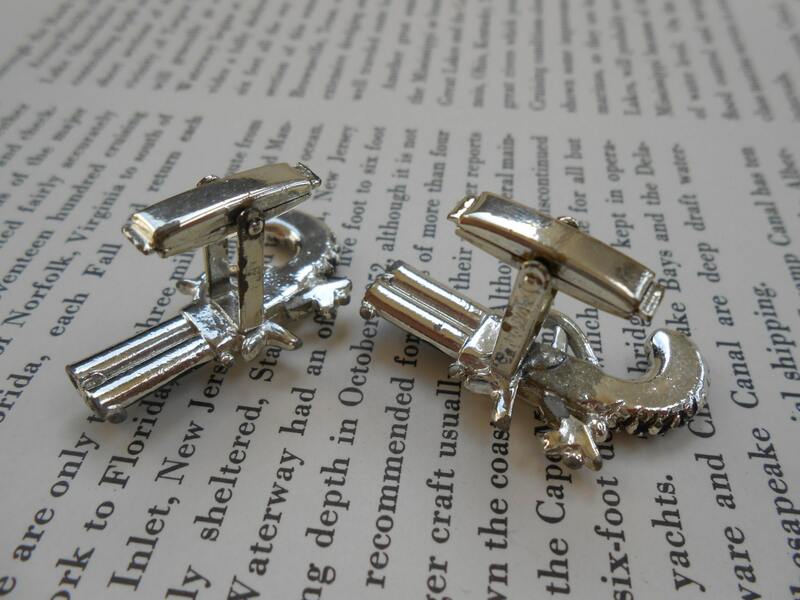 These vintage cufflinks are totally awesome! 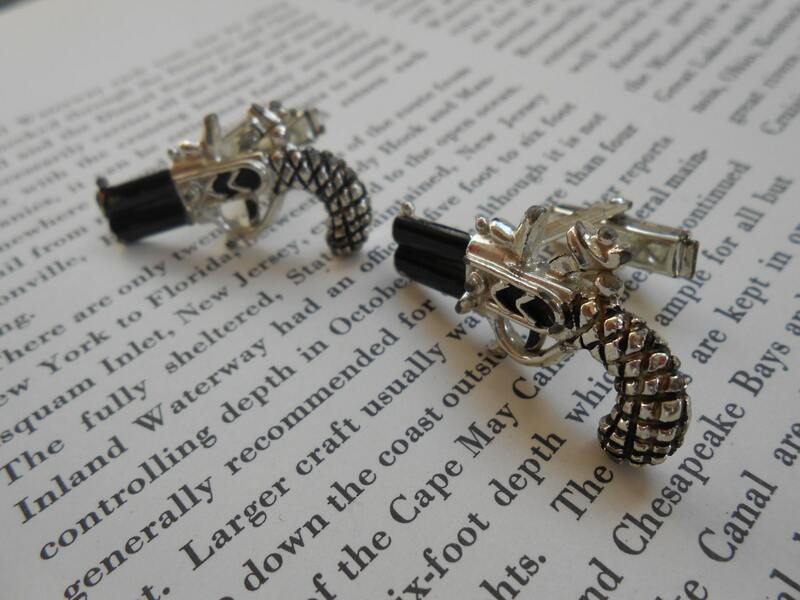 Each cufflink is a double-barrel, flint-lock handgun, with a detailed grip. 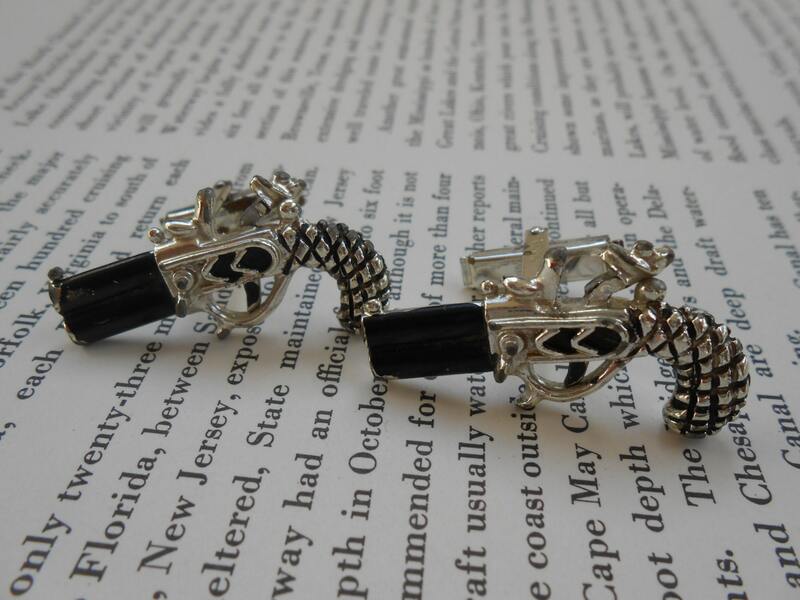 The guns are a black and silver color and measure 1 3/8" x 3/4". 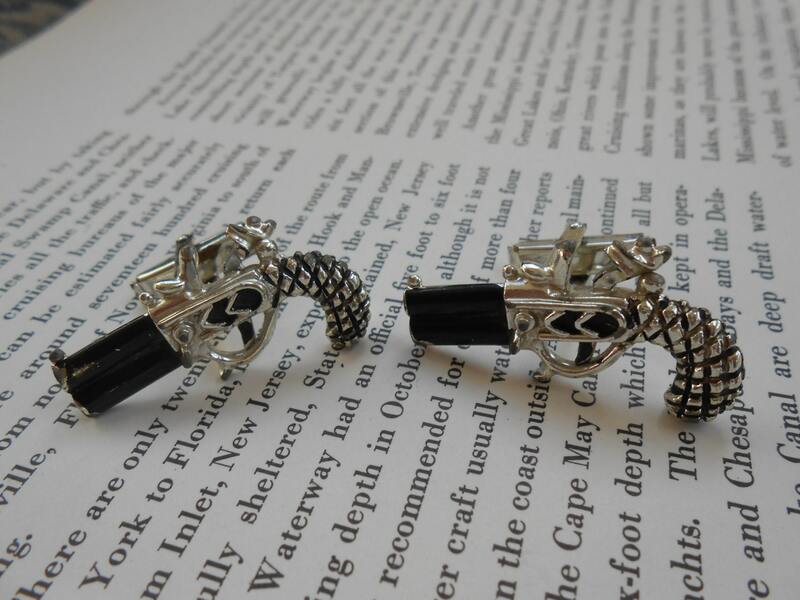 The cufflinks were made in the 1960s and are in good condition. There is a little bit of use to them, but no major flaws. They would make a great gift for any man who loves guns!